Tees on the Spot can help create a unique interactive experience at your event. We pride ourselves on providing the highest quality product at an affordable price. Each piece is created carefully so that every design looks its absolute best. Bring the fun of live screen printing to your event. 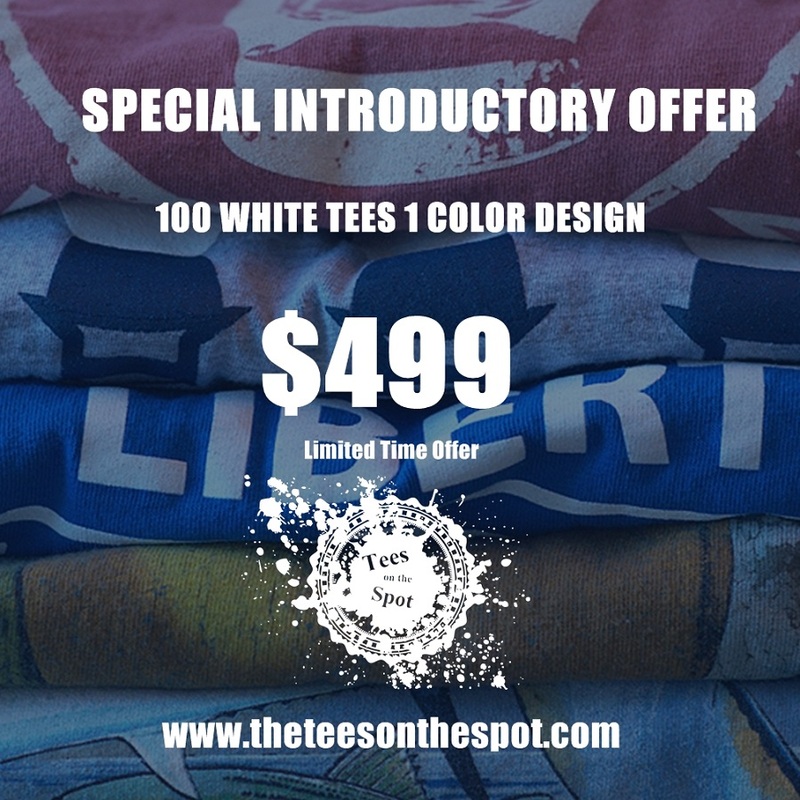 Tees On The Spot offer Live Screen Printing for your Event, Party,Corporate Functions, Festival, Conference, Family Reunion, Promotional Events and More. We can print for indoor and outdoor functions. Purchase 100 White Tees for only $4.99 each. Price includes 1 color imprint. Limited time offer! Join our mailing list to receive the latest trends, upcoming events and t- shirt deals.